We are a full service Agency representing multiple companies including Anthem and Humana. We do health, life, home, auto, and dental for groups and individuals in all of Kentucky and Indiana. Chris Conliffe and Kevin Hickey are the owners. They assist individual, medicare, and small group clients. We offer multiple supplements, advantage, and part d plans. As a team we strive to help you find the best options to keep you and your family protected in times of need. We have affordable plans to fit all budgets and are strong client oriented. We like to create relationships that will last and hope that we can provide you with the friendliness and care you need when dealing with the tedious process of searching for insurance. 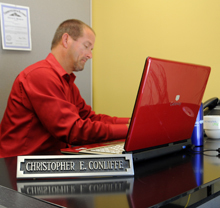 Chris is the managing partner of Conliffe & Hickey Insurance. He completed an 18 Year Banking career with J.P. Morgan Chase in 2008. 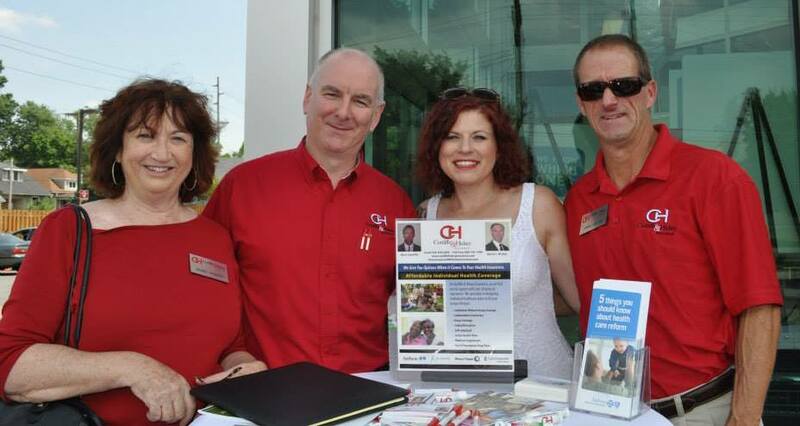 Chris joined Kevin Hickey that same year and they formed Conliffe and Hickey Insurance in January of 2009. I specialize in Individual and Senior Health Plans. Chris grew up in St. Matthew, where he graduated from Trinity High School. In 1989 he graduated from the University of Louisville. Where he also was The student body President. Born here in Louisville Ky in 1958. Raised in the south-end where I went to St. Thomas More grade school and DeSales High School graduating in 1976. Worked and paid my own way thru college, graduating from University of Louisville in 1980 with a B.A. degree in Political Science. Had several sales positions with multiple companies before I started my health insurance career with Humana in the summer of 1988. They hired me to be a insurance agent in their Medicare supplement area working with Seniors. Left that position in the spring of 1990 to be a agent for Bankers Multiple Line for a year and half. Then in September of 1991, I was hired by BC/BS of Kentucky for my expertise in the individual and Senior market to work with and sell individuals and seniors. During my tenure I helped with and over saw the first expansion regionally from Louisville to Lexington KY; Bowling Green KY; and Cincinnati OH; that saw the division grow from 4 people to over 200 people. Today that division is well over 1000 people nationwide. I also work with multiple unions in the Louisville area while I was with BC/BS; Teamster and Pipe fitters being two examples. I retired from Anthem BC/BS in October of 2007 to start my own independent Insurance agency and where I am still working as Senior partner. As a side note I am a avid U of L Cardinal fan;love the game of soccer and Thoroughbred horse racing; and have been know to play a game of poker occasionally. With over 20 years of experience, I specialize in group health & long-term care policies as well as individual Medicare and long term care policies. I provide personal customer service on all policies written with me and am available to my clients anytime there is a question or problem with their policy. My loyalty is to my clients not to any carrier. As an independent agent, I'm able to present plan options available from all major and many smaller carriers, all A+ rated. My goal is to place my clients with a policy which is best for their needs and budget with carrier they are confident in and comfortable with. I'm here to provide solutions not problems. My mission is to educate my clients on the benefits of their policy enabling them to use what they are paying for. Because of level of expertise and personal service I provide, my clients provide enough referrals allowing me to concentrate on my clients, not advertising for new business.